No family trip to Toronto is complete without a day at Canada Wonderland. 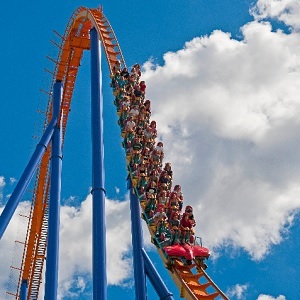 This is one of the best amusement parks in North America with tons of attractions for all ages! Even your pets are welcome as they have an air conditioned pet kennel for those travelling with their furry friends. 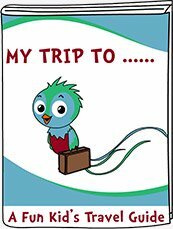 Dont miss this fun day out- our kids are already asking to go back! Even I loved it-espcially when we played the guess your age game and the lady guessed I was 33 when I am 43-that was worth the trip right there! 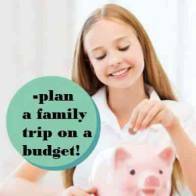 There is plenty to do for even the youngest members of the family! 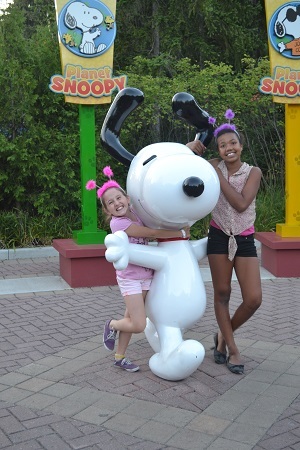 Head to Planet Snoopy where there are amusement park rides just for them! They can ride the Character Carousel, Ghoster Coaster, Lucy's Tugboat and the Pumpkin Patch to name a few. (Minimum height requirements and/or Supervising Companion may be required). 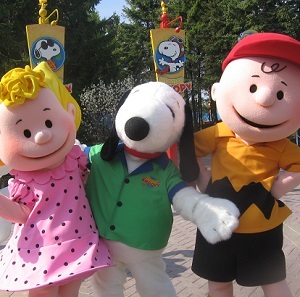 Take a break and watch one of the shows with the kids including Charlie Brown's Jungle Journey. Don't forget to bring your bathing suits so you can cool off at the Splash Works attractions. The Pump House is perfect for the little ones. It is an aquatic playground with rotating water jets, waterfalls and lots of fun! Services for babies and toddlers include diaper changing rooms located in many of the bathrooms throughout the park, double or single strollers for rent, and bottle heating services at most of the restaurants. There are endless games, shows and attractions for children at Canada Wonderland. There are wooden rollercoasters, metal rollercoasters, spinning rides, carousels and even the Speed City Raceway where they can drive their own car! Don't miss out on the log flume or the White Water Canyon where you might just get doused with water as you twist and turn through the rapids. 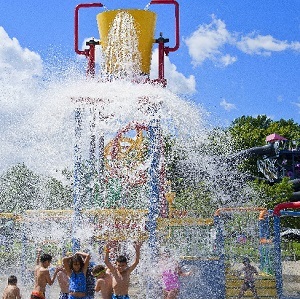 Splash Works has plenty to keep the whole family cooled down on a hot day! Race each other down the Riptide Racer, float along the lazy river or slide down The Splash Island water slides. 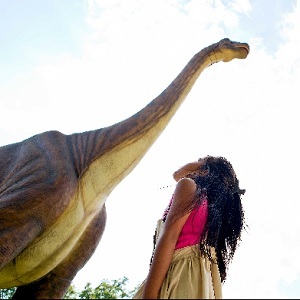 Stop by the Dinosaur's Alive attraction ($5 entrance fee) and visit Canada's largest animatronic dinosaur attraction. 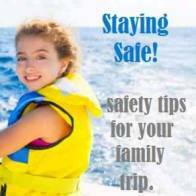 Canada Wonderland has more than enough excitement even for your most adventurous teens! Leviathan is one of the biggest and tallest roller coasters in the world and The Bat will send you forward and backwards through loops and corkscrews! The Behometh will have even your toughest teenagers screaming as they speed down the track at a 75 degree angle and 125 km/hour! 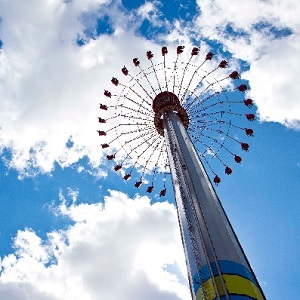 The Drop Tower will bring you 230 feet in the air where you can enjoy the magnificent views of the park before you plummet to the base at 16 feet per second. Ride the Windseeker and spin around on swings while 300 feet in the air! There are even thrill rides in the Splash Works park for your budding daredevils! Choose from the Barracuda Blaster, the Super Soaker and The Plunge where you experience a 50 foot free fall drop! You will be spoiled for choice with all the delectable treats availalbe throughout the park. Pizza, chicken fingers, and burgers will please most children. If you are looking for something a little more exotic then stop by the Marketplace International Buffet, Teriyaki Experience or Manchu Wok. Enjoy a sweet treat including Canada's famous beaver tails, a funnel cake topped with fresh strawberries and ice cream, or a cool treat from Dairy Queen. Canada Wonderland is located north of Toronto and is open all summer long. For opening hours, booking your tickets and directions visit Canada Wonderland Website. We spent the day at Canada Wonderland and boy did we have fun! This amusement park has it all! We started the day with a ride on Thunder Run, the rollercoaster through the mountain. Lots of fun as we screamed our way through the tunnels and turns. Up next was The Fly where we zipped and zoomed around the track. We cooled off on the White Water Canyon as we got soaked by the water! The teenagers were the only ones brave enough to try the Leviathan-they both agreed it was the best ride of their lives! We rode the swings, the wooden rollercoasters and the Bat! There is so much to do here-you can spend the day from open to close and not do it all! We dined on funnel cakes, fresh squeezed lemonade, homemade ice cream sandwiches and pizza! Delicious. The kids tried their hand at some of the games and everyone came away with prizes. 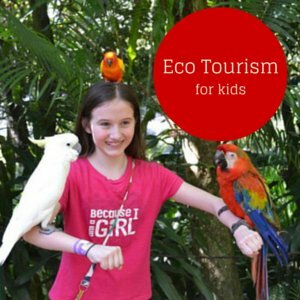 This is a definite must do when visiting Toronto with kids! 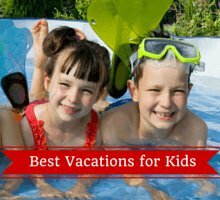 Ottawa is just over 4 hours away-check out these fun things to do in Ottawa with kids! Every kid should see this natural wonder of the world-visit Niagara Falls. It is only 1.5 hours from Toronto!